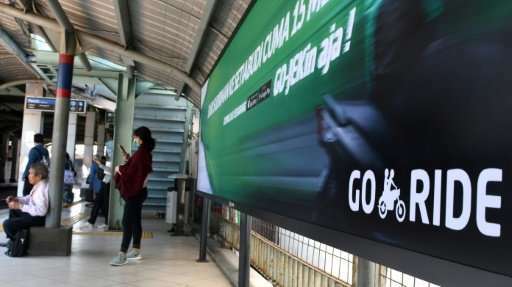 Big-name investors including Expedia and Alibaba are pumping billions of dollars into Indonesian tech start-ups in a bid to capitalise on the country's burgeoning digital economy and potential as Southeast Asia's largest online market. 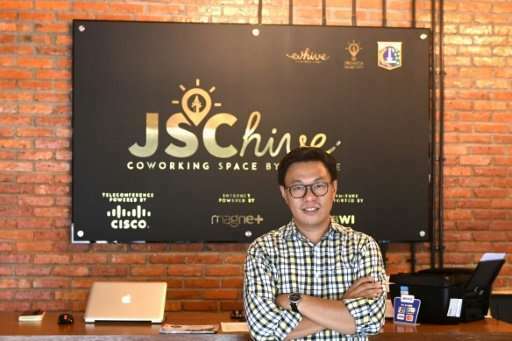 "We believe that Indonesia is poised for a huge leap forward for its digital economy, following China's growth and becoming the leading tech destination in the Southeast Asia region," Adrian Li, a partner in Jakarta-based Convergence Ventures, told AFP. Tokopedia —a marketplace that allows users to set up online shops and handles transactions—won $1.1 billion in capital from China's Alibaba in August. In another sign of confidence, Koison became Indonesia's first e-commerce service to go public in October. "While it's too soon to say that this investment is indicative of a larger pattern of Indonesian startups pulling in many big ticket investors, it is part of a growing clutch of mega-rounds," Rao said. Internet use is growing faster in Southeast Asia than any other region in the world, with 124,000 users coming online every day over the next five years, according to a 2016 report from Google and Singapore's Temasek Holdings. Willson Cuaca,'s venture capital firm East Ventures specialises in early-stage investments. Indonesia's mobile-first market will comprise more than half of Southeast Asia's e-commerce market by 2025, with an estimated value of $46 billion, the Google report said. "When you do startup business in Malaysia, Singapore, Thailand and Indonesia, the cost, effort and time that you spend is almost even. But when you go to Indonesia (growth) is unlimited—the market is so big," said Willson Cuaca, whose venture capital firm East Ventures specialises in early-stage investments. As a result, big names like US venture capitalist Sequoia Capital, Japan's Rakuten Ventures and travel company Expedia—as well as Chinese tech giants—have all made investments in the country. Internet use is growing faster in Southeast Asia than any other region in the world, with 124,000 users coming online everyday over the next five years, according to a 2016 report from Google and Singapore's Temasek Holdings. For e-commerce companies, the large number of "unbanked" Indonesians limits the scope of online transactions, and logistics problems make it hard to move goods. Farid Naufal Aslam, the chief executive of Aruna, an e-commerce company that links fishermen to buyers, said navigating Indonesia's disparate communities is a challenge too. "One of the biggest challenges faced is on social approach," Aslam, 23, said. "Indonesia is a unique country with diverse communities and different customs in each region." "The window of opportunity is there," Cuaca said. "As long as you can innovate and solve real problems using technology, you can be successful."